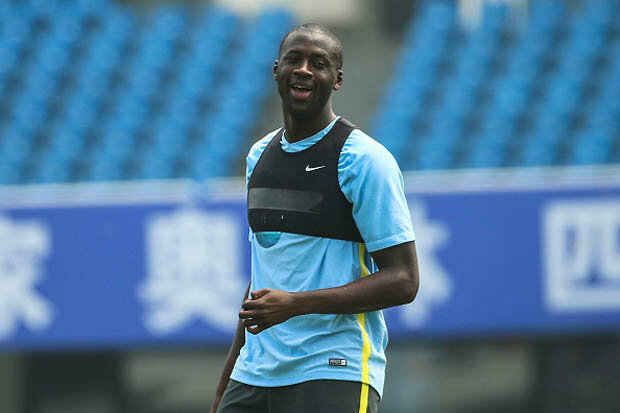 Ivorian icon, YAYA TOURE, insists he will not be forced out of Manchester City. The 33-year-old midfilder is prepared to sit tight at the Etihad and pick up £11m from seeing out the final season on his contract. New boss Pep Guardiola underlined that Toure is not part of his plans by leaving him out of the squad that travelled to Bucharest for tonight’s vital Champions League play-off first leg against Steaua.He was also omitted from the squad for Saturday’s Premier League opener against Sunderland. However, inspite of the double snub, Toure is determined not to be forced out before the end of the August transfer window. He will wait until the January window, or even the end of the season when he can leave on a free transfer. Now he is happy to stay despite being frozen out – and is aware that no European club will match his £225,000-a-week wages. Seluk said: “Yaya has not been included against Sunderland or Bucharest but that’s okay. He is fit to play right now. “This is a very good process for Yaya. It will allow him (to prove) in training and in matches that he is still a wonderful player. But there is no talk of a transfer. Yaya will stay and fight. “Guardiola has to learn all about the players he has available. The performance against Sunderland was far from perfect. Guardiola, who has bought in £21m Ilkay Gundogan as Toure’s replacement, explained his decision to axe Toure by suggesting he has not got the intensity he demands from his players. “I have a lot of respect of him, for his career and quality, but for the first days – against Sunderland – we were looking for a more intensive game,” Guardiola said. “That is why he didn’t play, the only reason why.”Guardiola will stick with Willy Caballero at the expense of Joe Hart tonight and is still thought to be keen on Barcelona’s Claudio Bravo. The Chile international is one of them after it emerged Guardiola is willing to listen to offers for England No.1 Joe Hart.